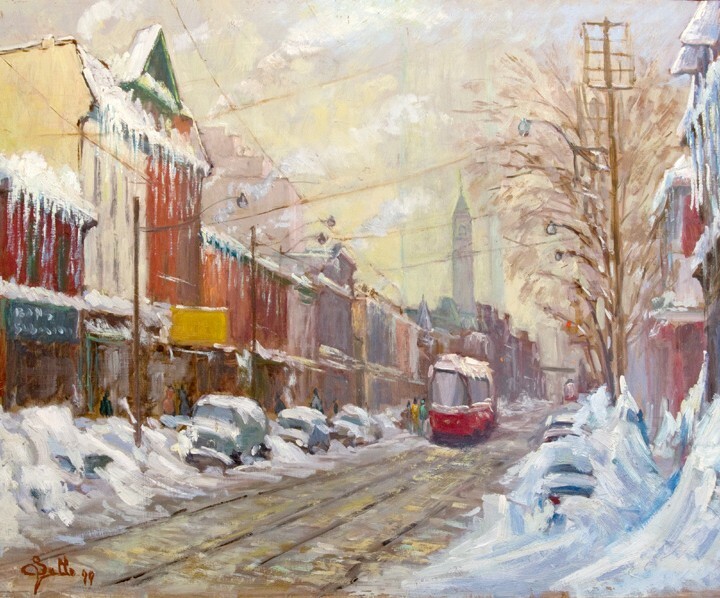 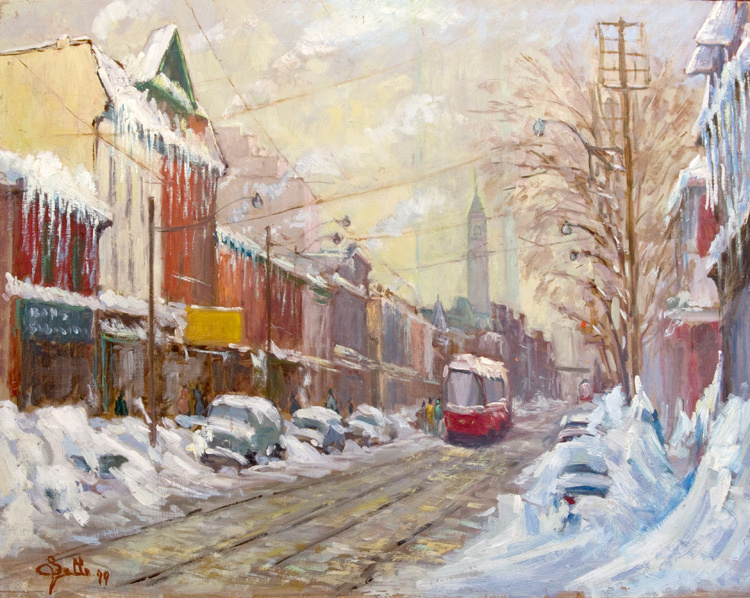 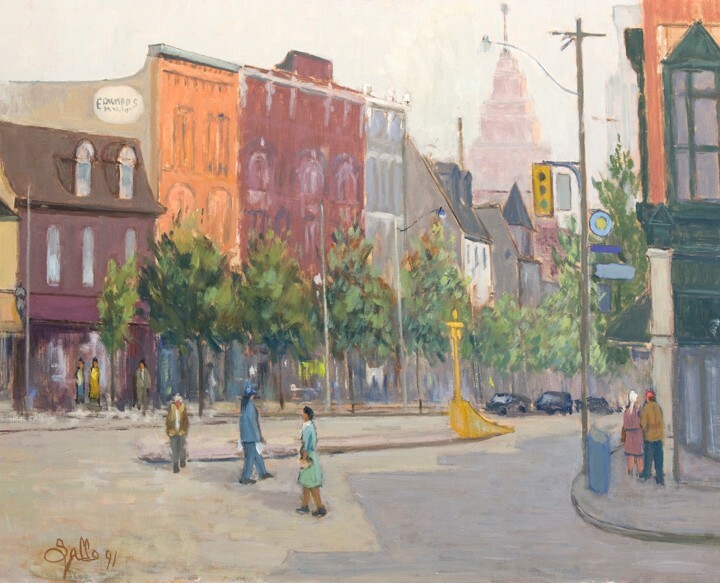 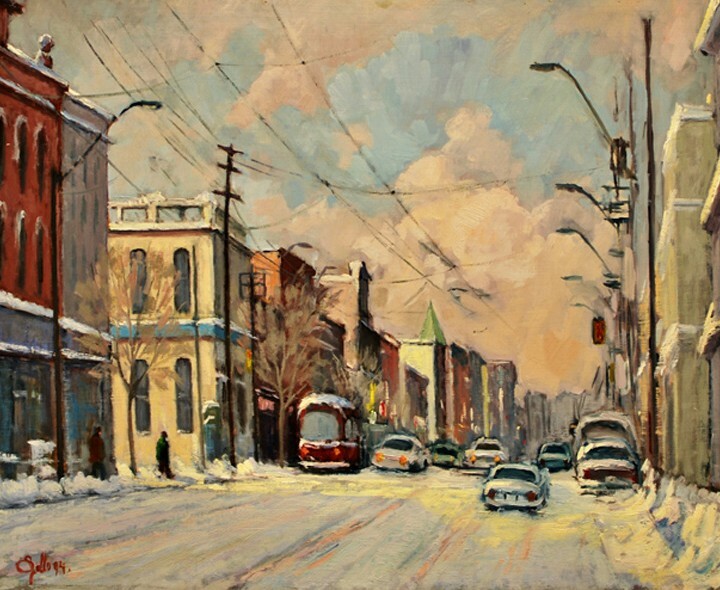 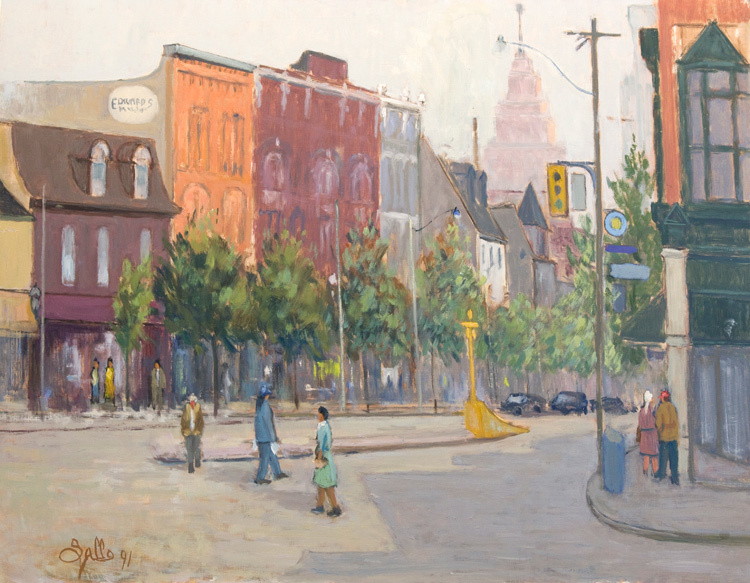 A native of Rogliano, Cosenza ( the Calabria region of Italy), Salvatore came to Toronto in 1951 where he studied art for four years at Central Technical School and later at the Ontario College of Art. His Preferred medium is oil, but he has a strong passion for sketching. 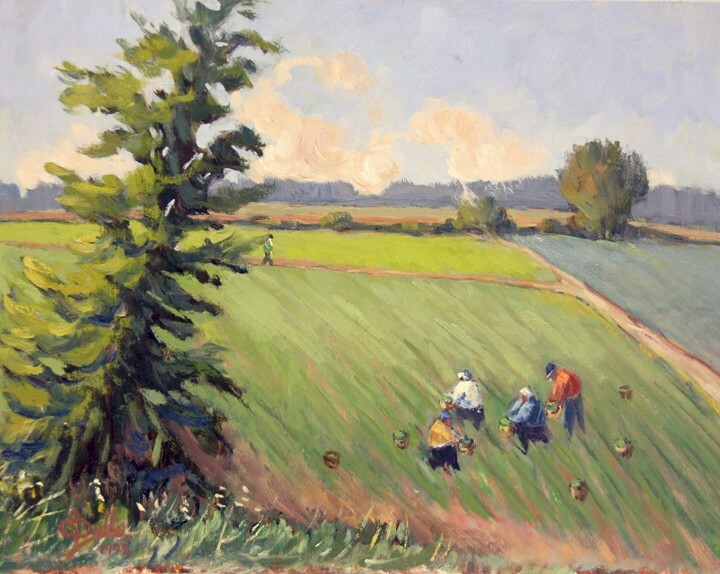 His subject matter varies from portraits of family members and politicians, to scenes of his beloved Italy. 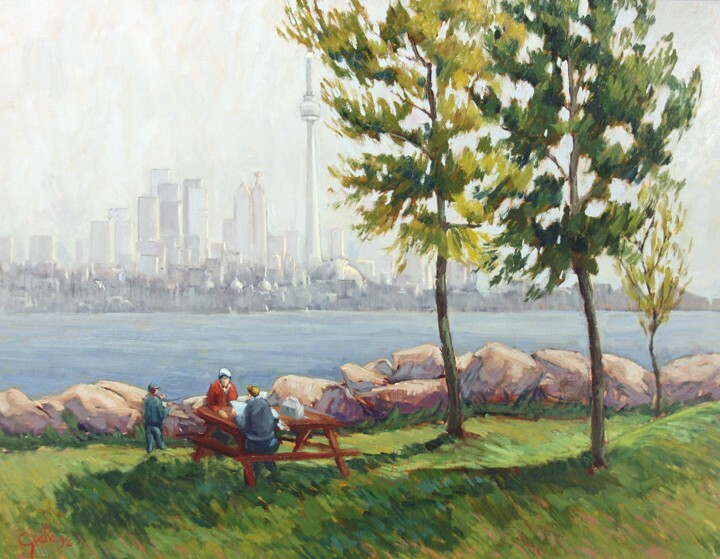 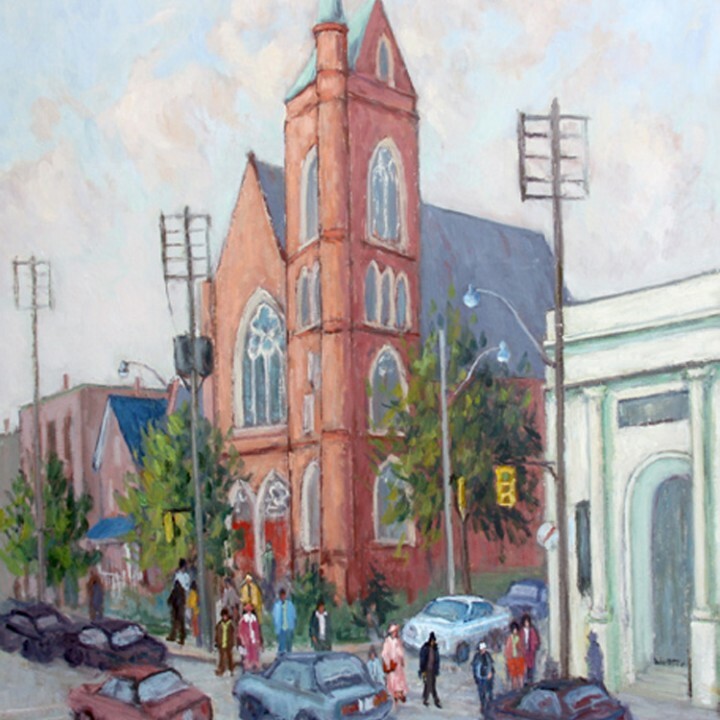 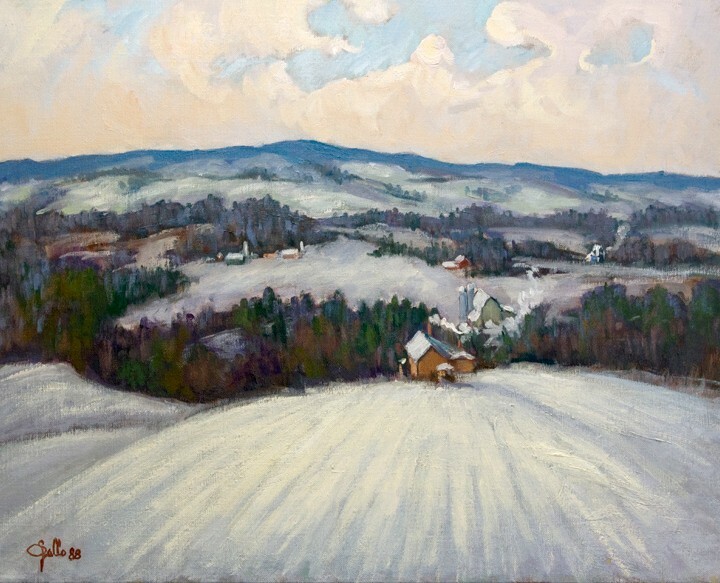 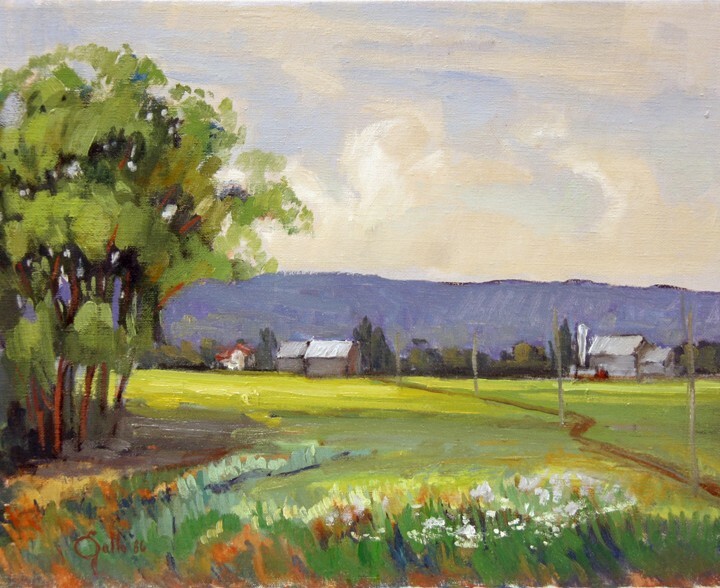 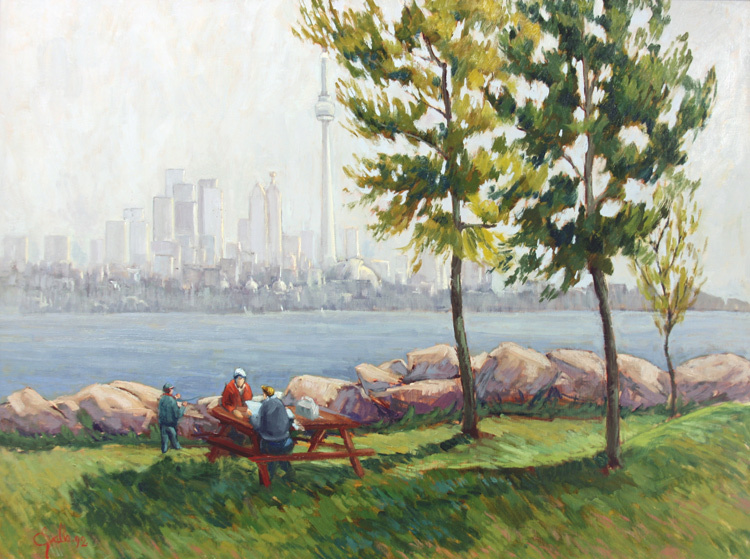 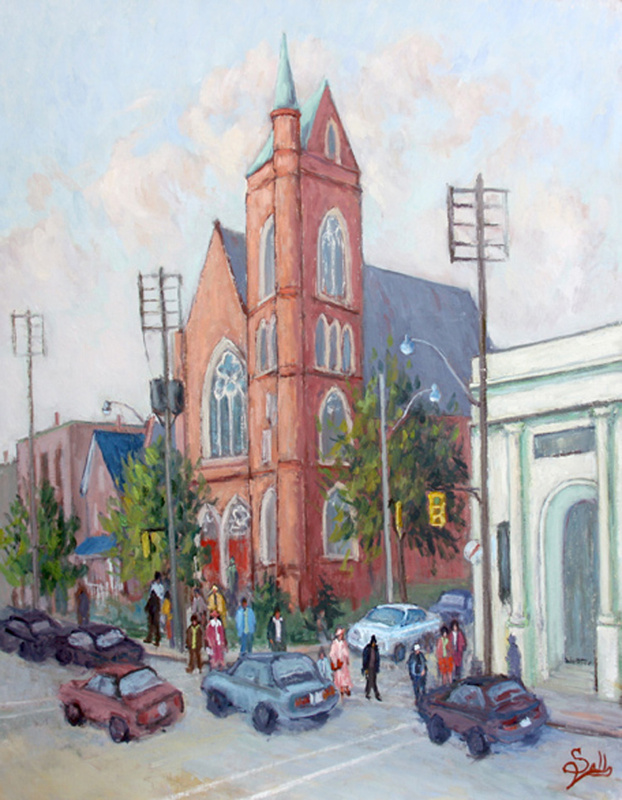 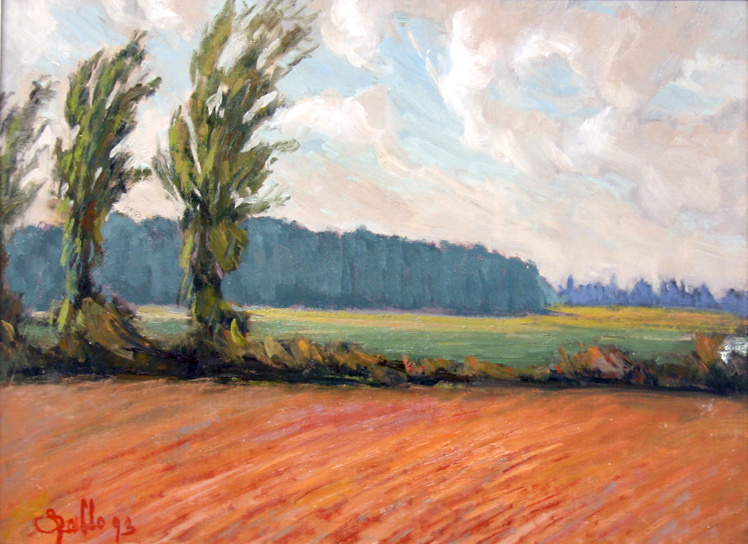 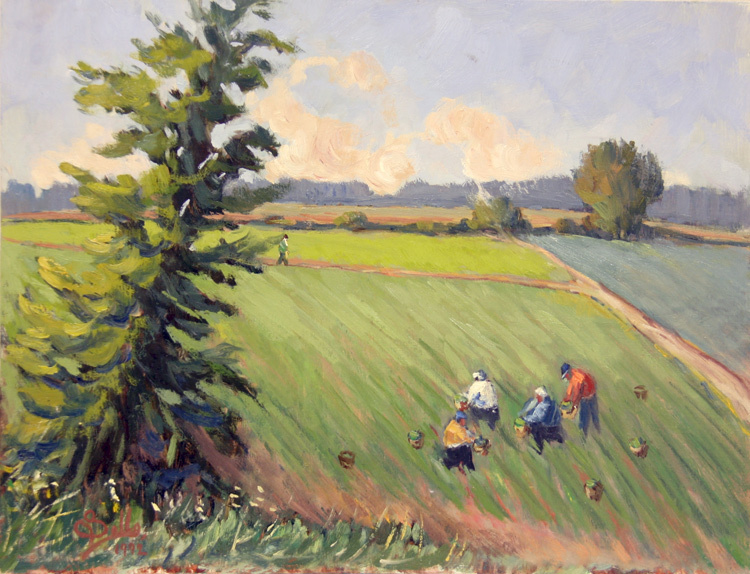 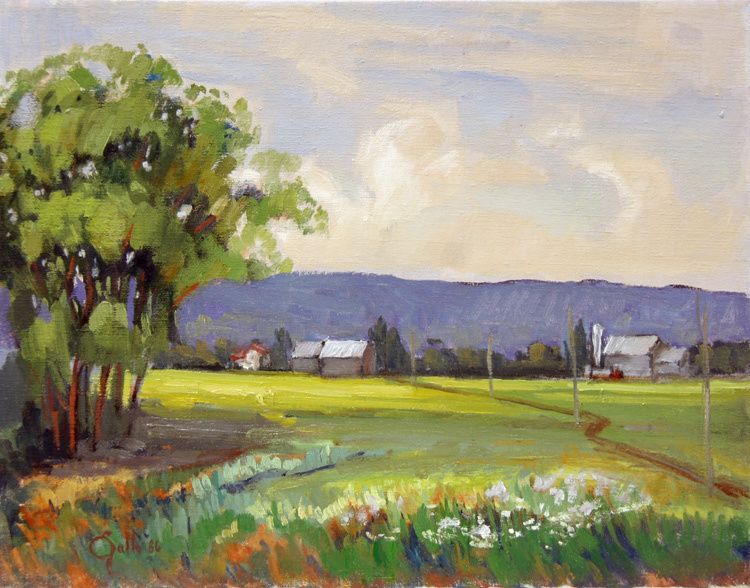 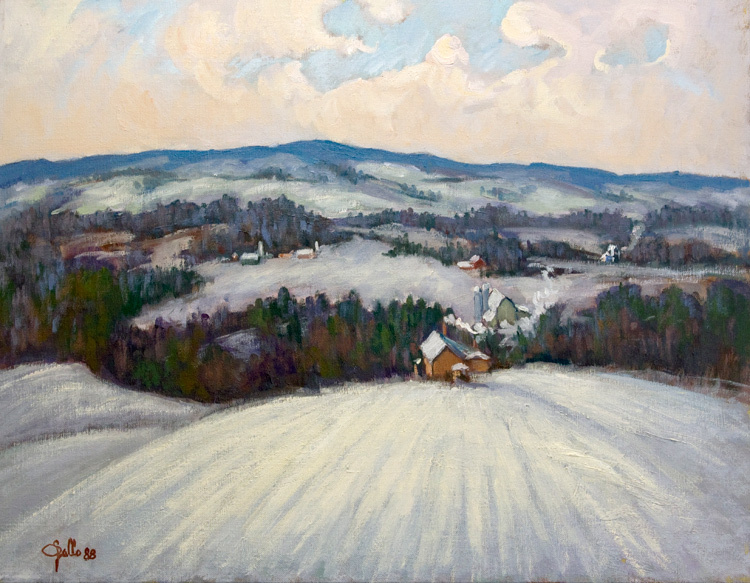 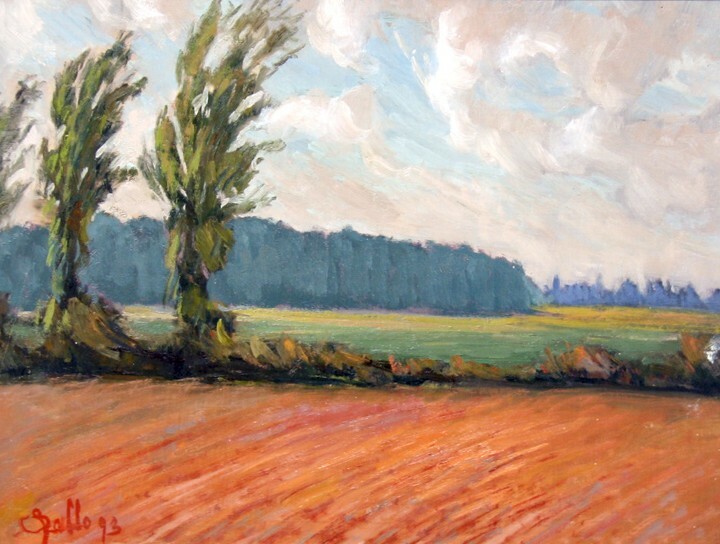 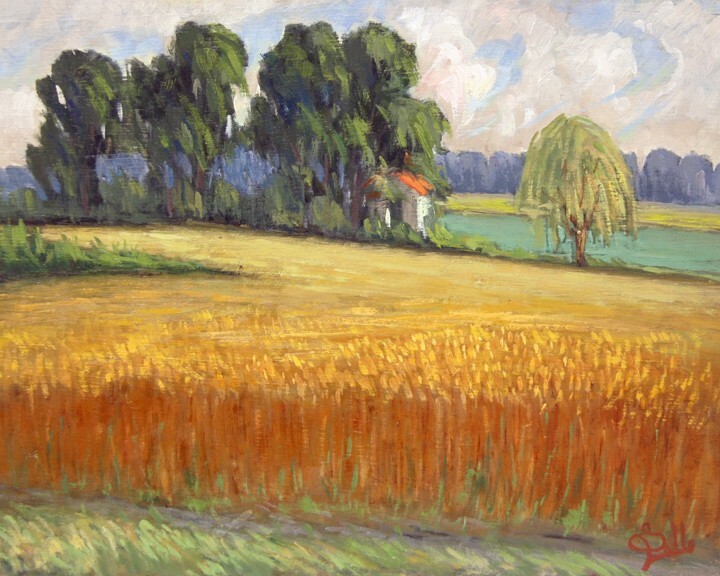 To Salvatore his most treasured pieces are scenes he painted of farmlands in Northern Toronto and the Holland Marsh area, mostly because these landmarks were replaced with housing and other developments. 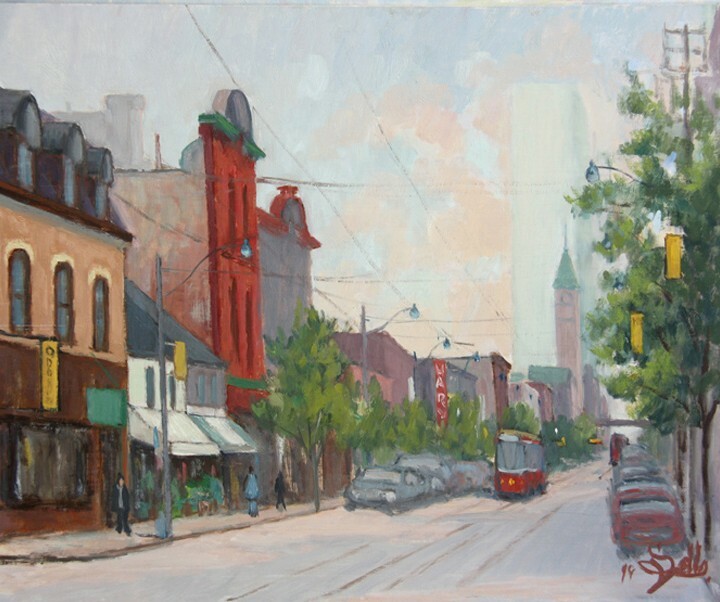 He has painted the downtown Toronto landmarks as well as well known sites of Quebec, Ottawa, Barrie, Hamilton, Unionville, Markham, Niagara on the Lake, Uxbridge, Port Perry, Whitby, Sutton, Holland Marsh, and the city of Vaughan. 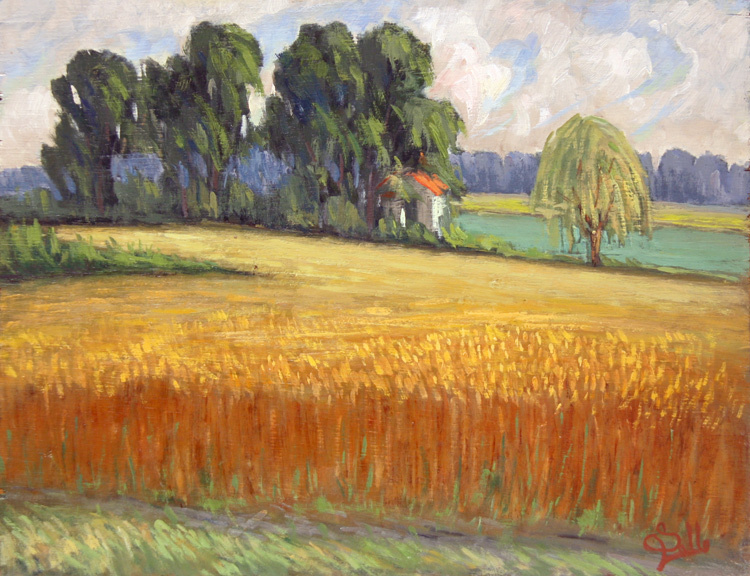 In 1996 he returned to his town for the Rogliano One Man Show at the Rogliano Palazzo Comunale and the Rogliano City Library. 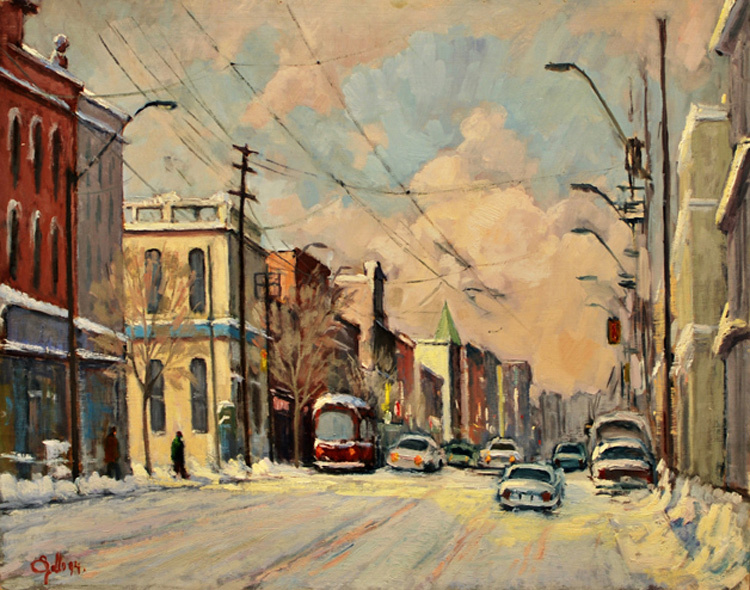 Salvatore Gallo is a long standing member of the McMichael Canadian Art Collection and the Art Gallery of Ontario.